Pride in innovations, education and teaching excellence drives GOMACO University to keep its owners, distributors, operators and mechanics up to date in the operation of GOMACO's line of paving equipment. Gary Godbersen, President & CEO of GOMACO Corporation, visits with students at GOMACO University. GOMACO University was started in 1975 to help GOMACO machine owners successfully, profitably, and safely operate their equipment. Now, after more than 40 years of service and over 17, 000 students later, the tradition continues. Annually, during the winter season, students travel to Ida Grove, Iowa, U.S.A., for training in order to learn the latest in technology on various GOMACO equipment. Special training classes can be scheduled to fit your needs and schedules. GOMACO University personnel can fulfill these requests either at our facilities or we can come to you. GOMACO personnel lead a plant tour on Friday morning. On the tour, you will see our state-of-the-art facilities and new paint line system. GOMACO University is offering classes covering maintenance and diagnostics on the GOMACO G21, G22, and G+® control systems for both pavers and curb and gutter machines. GOMACO University will be offering a wide variety of classes for 3D machine guidance systems to help you understand the software, and how to set up the equipment in order to pave smoothly without stringline. Mr. Mike Ayers, who is well known in the industry for his knowledge of concrete mixes, will be at the University this year and will be devoting his time to cover basic concrete mix design with the University students. As time allows, he will also move into more advanced topics about the concrete mix and design. Mike will plan to discuss the mix materials, mix design process, edge slump, troubleshooting, and how mix design can affect rideability. GUS I, the GOMACO University Simulator, now features interchangeable controls and GBoxes. The controls can be switched between the G22 and G+ control systems in order to properly train students on the controls currently being used in the field. The GBoxes are provided for each leg to accommodate improved steering and grade with G+ controls. The GBox features a new location for the slave controller and proportional valves, reduces hose and wiring needs, eases serviceability and troubleshooting, and provides easy access with a horizontal swing door at ground level. Rod Schneider, GOMACO University's Training Coordinator, takes students through a four-track Commander III presentation in the facility's state-of-the-art classroom. GOMACO University began as an in-house training program back in the early 1970s. 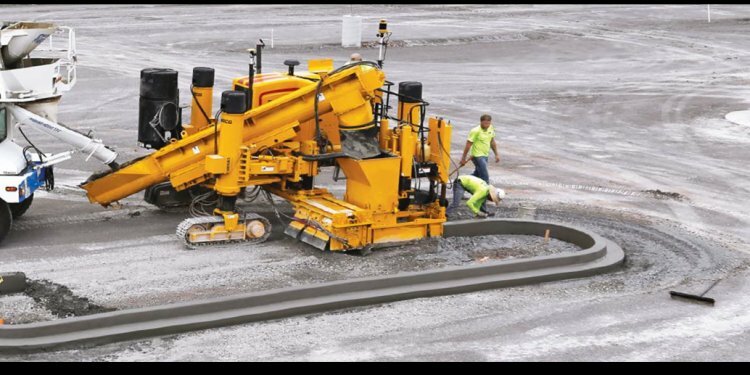 It was during that time period that customers began asking for training in the method of slipform paving and the operation of GOMACO equipment. GOMACO filled these needs by starting a customer training program. The first training sessions with GOMACO customers were held in the Godbersen-Smith Construction Company conference room in 1975. Also in 1975, GOMACO leased a building along Highways 59 & 175 in Ida Grove, Iowa, for the GOMACO Education Center. It consisted of a classroom large enough to accommodate 18 students and a shop area just large enough to fit the GOMACO equipment manufactured at that time.